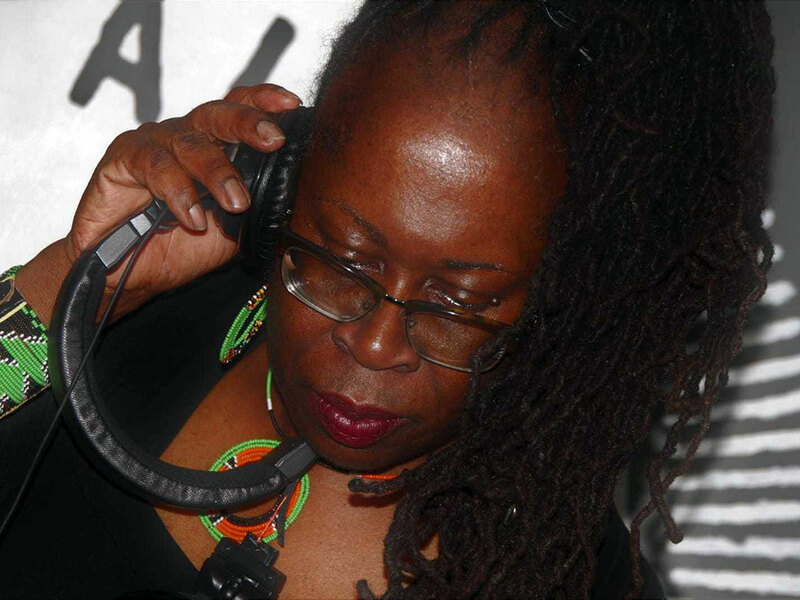 Veteran female DJ duo Nzinga Soundz joins the evening celebrations with an hour-long set of vintage roots reggae, soul and lovers rock. Their politics of consciousness-raising attends to the necessity of connecting discourses, actions, assemblies and coalitions across continents and generations. The Jamaican sound system, with its dub echoes and lyrics of resistance speaking over and through – rather than back to – colonial linguistic schooling, is driven in part by narratives of migration and displacement. Sound system cultures link subjects from the diaspora to generate new social formations, transforming colonial relations of itinerancy and migrancy into forces of sonic, creative resistance. Nzinga Soundz was established in the early 1980s by Lynda Rosenior-Patten and June Reid. The sound has played at concerts, corporate events and community-based events across the UK and in the Gambia, Barbados and Sierra Leone. Rosenior-Patten and Reid have also presented papers at conferences at Goldsmiths University, the University of East Anglia, and Birmingham City University.